If anyone is thinking about booking a trip to Japan, before you do book any flights, make sure you check this website: https://www.limousinebus.co.jp/en/ for when the limousine busses leave the airport (both Narita and Haneda airports). To get from the airport to Tokyo, by taxi it can cost reputedly up to $300. And that might be American dollars! By Subway train is the cheapest way, but with suitcases, not that great. (there are a lot of stairs in underground stations and not always elevators!). The Airport Limousine bus was fantastic and you can catch this bus from both Narita and Haneda airports. Really easy to find at the airport and only costs $30 for an adult (less for kids). For an Adult, the return ticket is cheapest. Strangely it was cheaper for a child ticket if you booked two single trips. If the bus doesn’t go directly to your hotel, go to the nearest hotel instead. Please note that the bus only runs limited hours - thus check the web link to the timetable before booking flights. For the Tokyo Disneyland area, the last bus from the airport is like 6 or 7pm, so you need to clear customs /baggage etc way before then. If your hotel is in central Tokyo, I think the bus has longer hours. 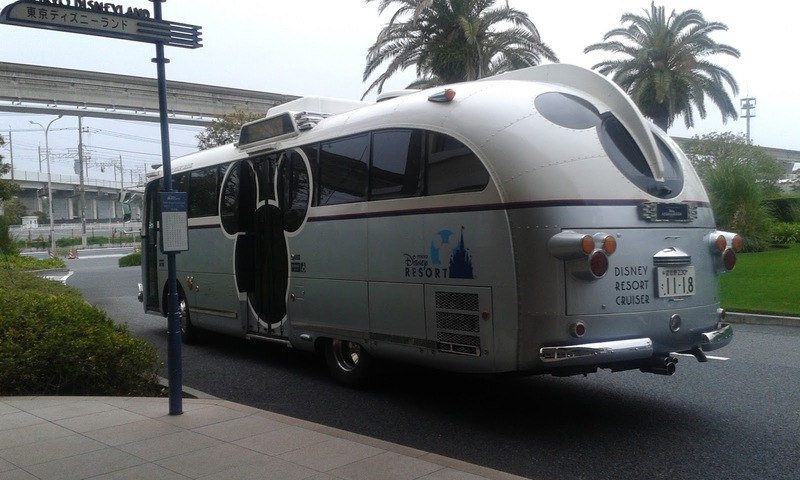 We stayed at Hotel Mystays Maihama which was a 7 minute walk away from DisneySea and a 20 minute walk from Disneyland. The hotel provided a free shuttle bus that took you to both parks and was very convenient. The hotel is about a 10 minute walk to the Ikspiari shopping mall (which is next to Disneyland). Ikspiari had lots of shops and even a supermarket where we bought breakfast items most days (including green yoghurt!). We did walk through the other Disneyland Hotels like Ambassadors, but they are all extremely expensive. We learned a little Japanese before we left, and watched on UTube on how to work the Subway ticket machines which I highly recommend. The Subway system was easy to navigate and someone somewhere will speak some English even if its the train station staff. There seems to be a button somewhere on all train ticket machines that converts Japanese to English (I think it was the top right hand side). It is amazing how much you can get by with minimal Japanese and I would not have believed it if I had not been there. I think that it helps that numbers are the same in Japan, so money and Station ID’s like H17 etc are easy to see and understand. You can follow where you are going on a train, say H12 to H17. What is important is that you know your correct Exit out of the subway station. This can save you alot of time from getting lost. So always know the train station AND the exit! Don’t book Disneyland or DisneySea tickets during Japanese school holidays, or weekends. On the Tokyo Disneyland website there is a crowd forecaster – so double check with that, or even check previous years crowds on there if your visiting month is not there. We bought E-tickets direct from the official website and printed them off at home. The E- ticket guarantees you entry into the park and you can go straight to the entry gate. The E-Ticket also doubles as the ticket to scan for the Fastpasses. Japan also has ‘Golden Week’ (a week long public holiday cluster first week of May – so avoid that time of year also!). Tokyo Disneyland do limit numbers entering the park, and if its busy that day, they close admission. That is why we bought the E-Ticket. Apparently Disneyland is busier on a Saturday and DisneySea is busier on a Sunday, but best to avoid weekends altogether. The food in Japan was really well priced and good food although we ate rather yummy Pizzas at Disneyland twice! 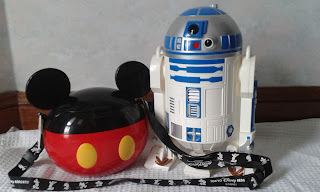 Tokyo Disneyland I have read has ‘cherry picked’ the best rides from Disneyland Anaheim and DisneyWorld Orlando. And it is true. Although disappointingly the Fantasyland ride ‘Alice in Wonderland’ is not here. Pirates of the Caribbean ride was closed for maintenance unfortunately during our visit. But they have all the other big rides, and they are mostly the same, except with a Japanese touch. Strangely, the Indiana Jones ride (my favourite ride) is in the sister park, DisneySea which seems a bit odd as its not 'water related'. One of the most popular rides in Tokyo Disneyland is the Winnie the Pooh ride. You literally enter a storybook, and when you enter the ride, you are in ‘honey pots’ that move quite independently in all four directions, and shift you around from scene to scene. It is very new technology (trackless) and a fun ride and totally different from other Winnie the Pooh rides elsewhere in the world. It is an extremely popular ride with the local population and you might need a Fast Pass for this ride. This was our first 'go to' ride in the park as its very popular. The Monsters Inc ride had a huge line and we waited until very late in the day after getting a Fast pass ticket for it. It was a very bumpy ride and I probably would hesitate to do it again because of it. Not sure if the suspension had gone in my car. The ride is different from the more passive California Adventure park with the same name. The Californian ride however was a lot smoother ride. The Tokyo version you shine ‘flashlights’ anywhere in various scenes and this animates the objects. It is a fun ride. The Star Tours ride was a lot of fun and the lines were very short. Maybe 5 minute waits at all times. We rode on this ride about 6 times and once I was identified as the ‘spy’. It is all in Japanese, but there really is no dialogue that you really need to know. Also, if you have been to Anaheim Star tours, you will know the general story line. The storyline is updated to incorporate the latest movies. The Haunted Mansion ride is nearly identical to the Anaheim Disneyland. When there is a parade happening, it is impossible to get to the ride as its kind of cut off by people waiting for the parade. The Peter Pan ride was a very nice ride. It was closed for maintenance when we went to Anaheim, so we were happy to see the ride here in Tokyo and it’s a really nice ride that we rode on about 3 times. You board flying ‘boats’ and fly over London and Pirates etc etc and there are these twinkling starry lights. The Jungle Cruise was really good but I do think that the Hong Kong version of the Jungle Cruise is the best version so far! Tom Sawyers Island was great fun at Tokyo Disneyland. You get there by raft and are provided with a map to the island as its quite big. There are lots of rope bridges and areas to explore. The outdoor caves are really good fun but the Injun Joe caves were even cooler. Be warned, my daughter A.J got very scared in the Injun Joe caves – they were deeper then the normal caves (and full of dark displays like pirate treasures, skulls and things). The whole island was terrific to explore. There is a Fort Clemens and Indian Tepees. We actually lost Dear Husband DH temporarily in the Fort Clemens and the caves. The Western River Railroad was a surprise ride, near the Jungle Cruise. Other than the usual sights on such a train trip, the ride actually went into this cave area, into a primeval world full of animated dinosaurs! I had not read this in any guidebooks and this ride really was an afterthought to go on for us - but it was so worth riding. The Enchanted Tiki Room: Stitch Presents "Aloha E Komo Mai!”, we had seen this (without Stitch), in Anaheim (many times, daughter A.J’s favourite attraction) and knew what to expect but this attraction was all in Japanese. I do believe you can ask for an English translator, but for some reason we didn’t for this attraction. There were some other live shows in DisneySea that we asked for Translator devices, which were handy. Mostly, Disneyland is such a visual experience, it doesn’t really matter if you don’t understand the language totally, as you understand the meaning. Cinderella’s Castle – Unlike other Disney parks, you can actually go inside the castle and into the throne room, where you can be king or queen for, I don’t know, maybe 30 seconds, until someone else in line gets to sit! You can also try on the glass slipper! Inside the Castle, you can actually try on the glass slipper - and see whether it fits! 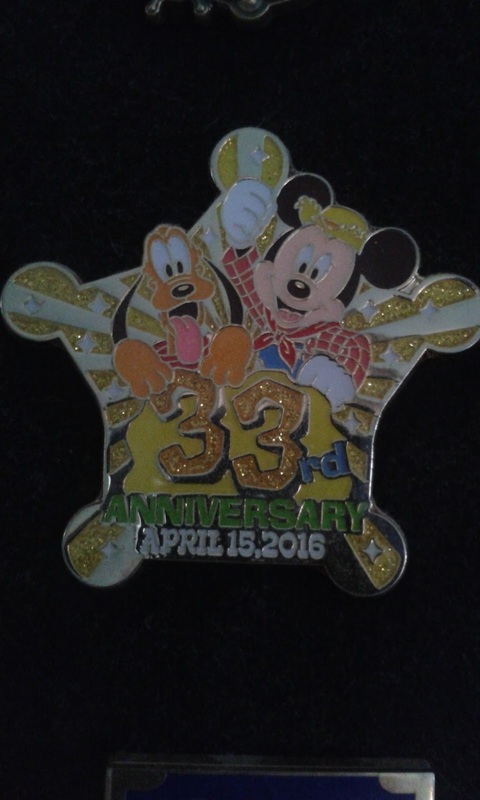 Tokyo Disneyland did not have a huge selection of pins like Anaheim unfortunately, but you can still get them, particularly anniversary pins like the one below. Tokyo Disneyland has a rather low supply of Disney Pins. However, it does make up for it by having these Disney Popcorn containers which are unique to this Disneyland. Basically when you buy the container, you get free popcorn with it. But if you don’t like the popcorn flavour it is selling with, you get a voucher to get the popcorn flavour you want at a different popcorn stall. You can get these popcorn containers refilled too. And the popcorn comes in multiple flavours, some rather unusual including Caramel, Milk Chocolate, Soy Sauce and Butter, Curry, Honey and Black Pepper. There are sometimes other flavours offered like Coconut, Strawberry and Cappuccino but we never saw those. The buckets come in all sorts of characters such as Dumbo, Winnie the Pooh, Olaf and more. We bought the R2D2 and the Mickey one. The Popcorn buckets caused some amusing scenes at Narita Airport Security who wanted to know what on earth we had in our carry-on luggage bag that was shaped like a bowling ball! When we took out the Mickey mouse popcorn bucket there were smiles all round. The popcorn containers are bulky items to be carrying around, so save for later in the day to collect. They don’t seem to run out of them.